Black ruby color. Spicy aromas and flavors of wooden chest, tomato chutney, wood shavings, dusty violets, and tamarind with a velvety, lively, fruity medium-full body and a warming, complex, long finish with suggestions of charred meats, spiced berry fruit leather, toasty blueberry scone, and cinnamon danish with moderate oak flavor. An elegantly fruity Sonoma red; finely integrated and ready to drink. 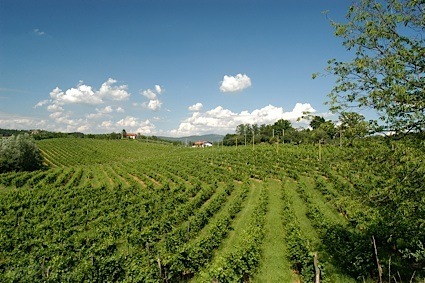 Bottom Line: An elegantly fruity Sonoma red; finely integrated and ready to drink. 90 • Dewitt Family 2014 Cabernet Sauvignon, Alexander Valley 14.5% (USA) $45.00. 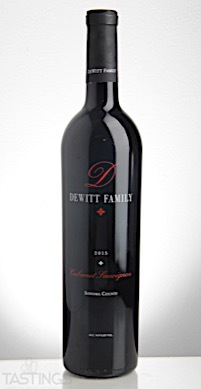 94 • Dewitt Family 2015 Red Blend, Cabernet Sauvignon, Sonoma County 14.9% (USA) $55.00. 95 • Dewitt Family 2016 Cabernet Sauvignon, Alexander Valley 15.1% (USA) $55.00. Dewitt Family 2015 Red Blend, Cabernet Sauvignon, Sonoma County rating was calculated by tastings.com to be 94 points out of 100 on 7/19/2018. Please note that MSRP may have changed since the date of our review.